Here at the California Farmland Trust, we know that people need a place to live just as much as they need food to eat. We believe in working with our developer partners, to ensure people have both the food and shelter they need today, tomorrow, and forever. Many of the cities with which we work have adopted ordinances that require developers to mitigate for lost farmland. In other words, if you build on farmland, you must help protect farmland nearby. We work with developers to help them satisfy farmland mitigation requirements. If you are a developer looking to fulfill an agricultural or farmland mitigation requirement, use the form below to contact us today. Beach Farm is a beautiful 80 acre parcel located near the City of Livingston in Merced County. This prime farmland produces almonds and and has been in the family for 25 years. The Espinosa Family Farm is located in the Delhi District of Merced County. These 39 acres of prime farmland produce almonds and peaches. It was permanently protected with an agricultural conservation easement in 2007. The Jessie Espinosa Farm is located in the Delhi District of Merced County. These 38 acres of prime farmland produce peaches. It was permanently protected with an agricultural conservation easement in 2007. The Rocha/Mello Farm is located in Sacramento County near the City of Elk Grove. These 97 acres of prime farmland produces alfalfa hay. The land was permanently protected in 2003. The Voorhees/Silva Farm is located in Sacramento County near the city of Walnut Grove. These 225 acres of prime farmland produces alfalfa hay and grain. The land was permanently protected in 2007. Zollinger-Nunes Farm is located near the town of Delhi in Merced County. This 74 acre farm was one of our first conservation easements. The farm produces peaches, almonds and walnuts. It was permanently protected in 1999. The Tamayo Hoffman Farm is located in Contra Costa County. On their 42 acre property they are dedicated to growing sweet corn. This beautiful land has been protected under a conservation easement since 2011. AKT Santa Nella Farm is a beautiful property located just south of Los Banos in Merced County. A sea of wheat grass and row crops line its 178 acres of prime farmland. In July 2014, this land was forever protected by an agricultural conservation easement. Koehn Farm encompasses two properties located just south of Livingston in Merced County. Its prime soil supports rows of charming almond orchards. In June 2015, Koehn Farm was indefinitely protected by an agricultural conservation easement. Knepple farm is a 166 acre property that can be found in Sacramento County. This property is currently home to lucious timothy grass and alfalfa. This property has been protected by a conservation easement since 2013. Machado Farm can be found in San Joaquin County and encompasses 156 acres of land. Currently the farm produces a bounty of fresh crops, including; walnuts, cherries, and peaches. This property has been protected by a conservation since 2015. The BF Cochrane Farm is located just west of the City of Stockton in San Joaquin County. This beautiful 125+ acre property is comprised of row crops. Some including alfalfa, tomatoes, grain and corn. The BF Cochrane easement was permanently protected in 2017. The Denis Propseri Farms, Inc. Property is located in Madera County. This 78.48 acres consists of many different wine grape varietals and is located on prime farmland. This property was permanently protected by an Agricultural Conservation Easement in 2018! 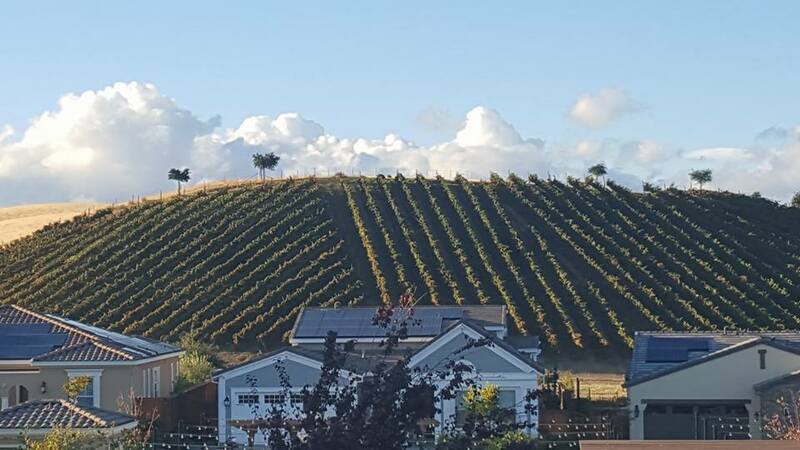 The Cecchini Farm is located in the beautiful Contra Costa county. Being in the family for over 70 years, this 520.7 acre easement makes a great addition to our list. Closing in October of 2017, we look forward to many years of watching this property grow!